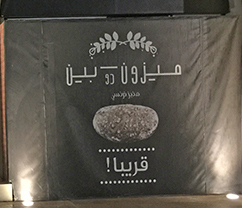 While living in Doha, I was fascinated by the amount of transliteration of store names in to Arabic. 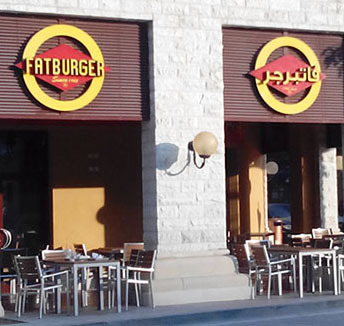 I realize that store names are often trademarks and thus tend to be sounded out in Arabic letters rather than translated. 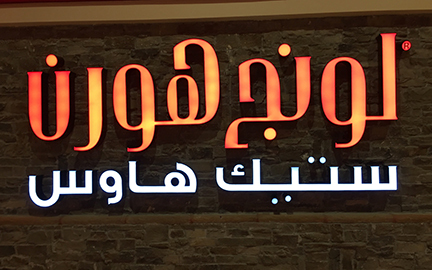 Thus, Applebees, the restaurant, is fortunately not tufāḥ naḥl in Arabic. Language is constantly evolving, especially with the influence of social media, and Arabic usage is no exception. 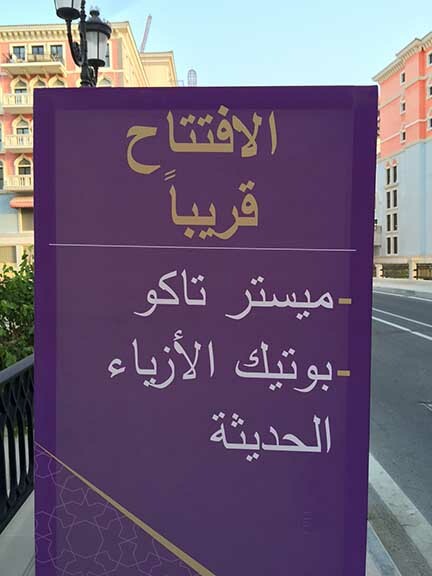 In a country like Qatar, where virtually all business in malls and on taxis is conducted in English, there is a proliferation of translated terms in Arabic letters. At times it almost seems as if there are more Arabic signs transliterated from English than from genuine Arabic terms. Doha’s center city is literally citī sintur and not markaz al-madīna. As young Arabs grow up in Qatar, they are exposed to far more foreign terms than young people in most countries. 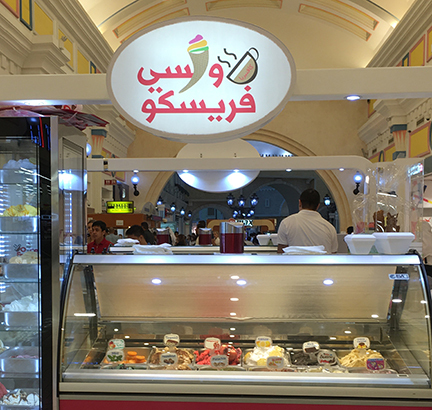 If you want to order coffee or buy an ice cream cone, English is a must in Doha. The long term impact of this over abundance of foreign words in Arabic script has yet to be studied, to my knowledge, although it would be a fascinating research topic. I remember when I was first learning Arabic with Roger Allen during an intensive first-year summer course at the University of Pennsylvania. We were given a newspaper article and there was one word that none of us could figure out or find in any dictionary. It turned out to be “Watergate” in Arabic script. Modern Arabic usage in dialects has many loan words into everyday speech. Thus, it is not unusual to hear someone say baraka al-siyāra, remembering that English p becomes Arabic b. While doing research in Yemen on local agriculture, I was confused by a term used by farmers to describe applying pesticide. They used the verb yugafu and I could not find a relevant meaning. Then one day a man showed me where the term came from; the name of the pesticide was G.A.F. There are many examples and such borrowing is hardly unique in the history of any language. For those of you reading this who can read Arabic, here are a few samples of signs to ponder.